About: New basement venue on the former site of Peter Parker's Rock n Roll Club. 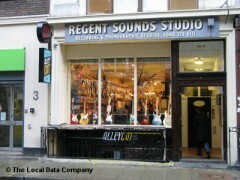 Live music is the name of the game at The Alley Cat on Denmark Street. Stumble in on any night of the week and expect to see some musician or other on stage entertaining the crowd in the underground bar.